So, this post is going to be short today, son. 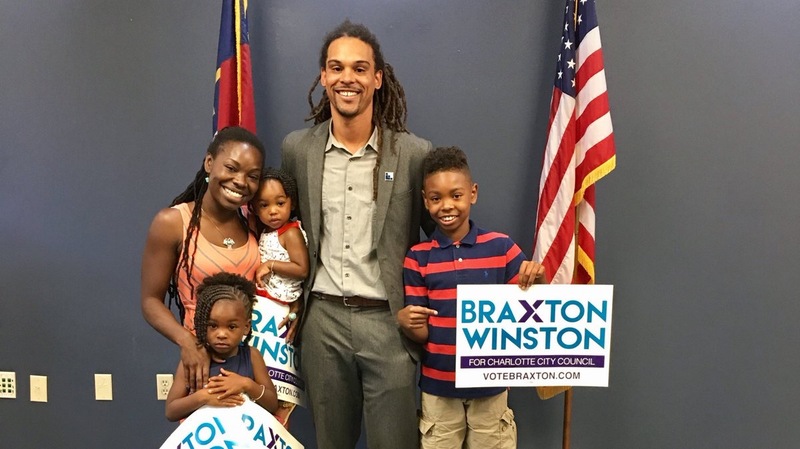 Basically, I just want to take the time out to congratulate my dude Braxton Winston on winning a seat on the Charlotte City Council. All I know is, North Carolina made the right move on Tuesday, man. They just gave a motivated man the opportunity to make a real difference in the community. With that being said, salute to him and salute to the city for believing in him! Ok, for those who missed it, I wrote about Braxton when he first began his campaign. Now, even though I couldn’t vote in North Carolina, I still wanted to do something/anything to help his cause. In any case, I’m SUPER hyped that he was able to make this happen! Even though the real work begins now, I’m positive he’ll be ready for it, fam. In the end, nothing else needs to be said here, bruh. Congrats, Braxton! This entry was posted in Politics and tagged Braxton Winston, Charlotte, City Council, New York, New York City, North Carolina, NYC, PREP 9, Prep for Prep. Bookmark the permalink.